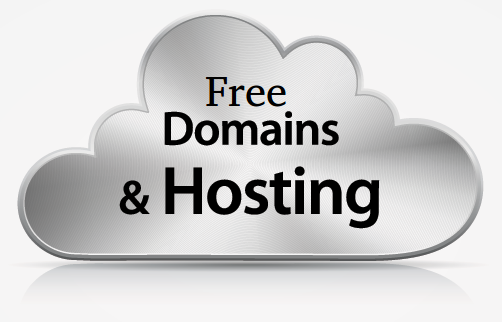 A free domain name service is frequently offered when you purchase web hosting. But how does this work? Essentially when you buy your hosting from a company they’re in a position to offer you a few incentives. One of these is a free domain (something you’d normally have to pay for either on an annual or monthly basis) and some even offer unlimited free domains. Most only offer one, but this is still a great perk and 99% of customers only need one anyway. The name you choose for your site will affect your search ranking in domain name searches. You’ll want to choose something easy to remember, or relevant to your product. If you’re going for the memorable option, keep it short and snappy. Single word websites are easy to search for such as Google, Twitter or Bing. Even if you go for the product-based approach, the advice to keep it short will still help when it comes to being memorable. If you’re confident that it is the right approach, you could create your own word that reflects your concept – e.g. Facebook or Instagram. These may seem like basic tips, but they are crucial for ensuring that your business comes out at the top of a relevant domain name search. What accreditation can I obtain? ICANN, also known as Internet Corporation for Assigned Names and Numbers, is a not for profit organization that accredits a wide range of domain registration websites. To ensure that you purchase a reliable domain name for your website, it is important to check that your domain is registered with a company which is ICANN accredited. This will go some way to reassuring you, your clients and customers that your website is reliable. You’ll receive more repeat traffic and the knock on effect of that is maintaining an excellent reputation. The top 3 highest-level domain name extensions are recognized all over the world. These are .com (commercial), .org (organization) and .net (network). They initially represented different types of website, for example, .org was intended for non-profit organizations and is still mostly used by them today, but as the lines are blurred between businesses and personal sites, those distinctions have become less meaningful. They are important to consider when registering your domain name, particularly if you’re being offered a free service. Not every extension is available from every provider; so make sure you’re getting the extension you want, as it could affect your domain name search rankings if you end up with one that is not at a high level. The domain name registration fee will vary between domains and will also be affected by the level of the extension you choose. Highest-level extensions such as .com cost more to register than lower level .me or .biz. If your domain name does not come as a free service, most domain name registration companies will sell names for an advertised price but occasionally there’ll be extra fees. These are sometimes broken down for you but just as often they’ll be hidden. If your registration company is ICANN accredited, there may well be a small fee of $0.20 on top of the registration fee. Always read the small print and, unless you have a fixed price agreement, be prepared for renewal price changes to reflect inflation over long-term domain name purchases. Before registering a domain name you must read the transfer policies and documents regarding your purchase. If you are unhappy with a registration company and want to change provider, you need to know you can keep your domain name. Some registrars make it difficult to transfer your domain name unless it is stated as an option in their transfer policy. So read the terms of purchase first to make sure you’re happy with your company before you buy. It sounds obvious, but make sure the domain name is registered to you. Don’t buy into a third party registration or allow the site to say the domain name belongs to your hosting website. The domain name for your website needs to be registered to your name so you have ownership and control over the site. You’ll have to choose a hosting company for your website and it may offer domain name registration. Registering through your hosting company could save you money on the domain name especially because hosting companies often offer one free with your hosting package. If you already have a domain name, most web hosting companies will transfer it either free of charge or for a small fee. Just remember to check those transfer policies!